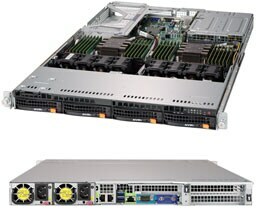 Supermicro® Total Solution for SUSE OpenStack Cloud | Super Micro Computer, Inc.
Training – Whether you prefer scheduled learning with a live experienced instructor who can answer your questions, or you need an eLearning solution so you can learn on the go, SUSE has a training option to fit your needs and your schedule. The minimum number of control nodes is three. As the number of Compute Nodes scale in number (typically in batches of 50), it is recommended to add groups of 3 Control Nodes in a clustered fashion to spread out control node functions across the clusters. For networking option details, please consult Networking Options table, below. Racking & Cabling (with Supermicro switches); Racking & Cabling Engineering Drawing; SMC will not be responsible for 3rd party switch configuration. Requires SOW Onsite Survey; Onsite logistics; Racking & Cabling (with 3rd party switches); Racking & Cabling Engineering Drawing. 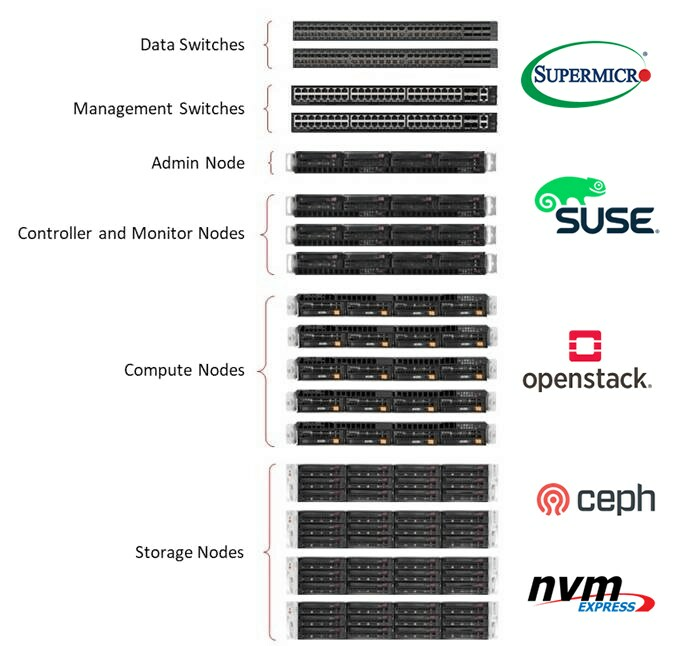 Please consult with Supermicro-OpenStack Solution Team for all SUSE OpenStack Cloud related solutions. Any parts purchased individually without full testing and certification may not be fit for SUSE OpenStack Cloud solutions. Please be advised to purchase the right services and warranty above for SUSE OpenStack Cloud related products to avoid the compatibility issues. 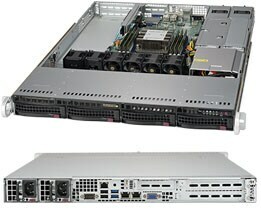 The Supermicro solution team is willing to help you build the right solutions anytime. Standard configurations include two types of Ethernet switches – one for consolidation of management/IPMI traffic and another for use in networking data traffic. The management switch is common to all storage options. The data switch options range from a 10Gbps switch (for "Balanced" option), to a 25Gbps switch (for the "High-Performance" option) and a 40Gbps switch (for the "All-Flash" option). The 10 GbE Data switch and 40 GbE Data switch options require a Cumulus OS for all switches in the solution. 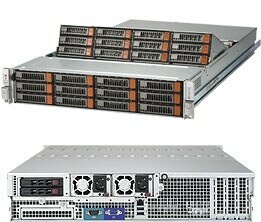 The Cumulus OS licenses for both the data and management switches are obtained through Supermicro using the provided SKUs. 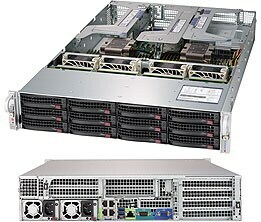 The 25 GbE Data switch option requires the Supermicro (SMIS) OS for all switches in the solution. The SMIS OS for the management switch is obtained using the provided SKU. The SMIS OS for the data switch is included with the switch. * Make sure to add "NICs for data"